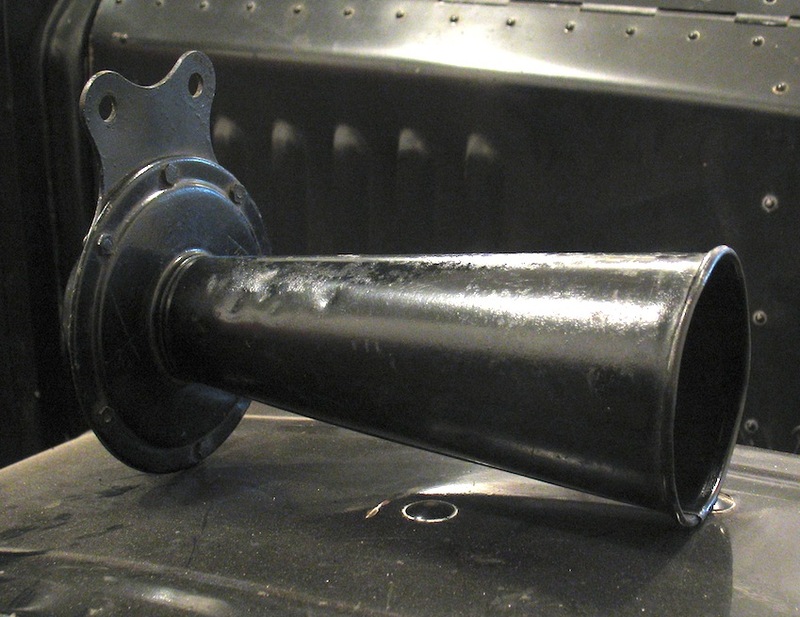 Model T Ford Forum: ID this horn? 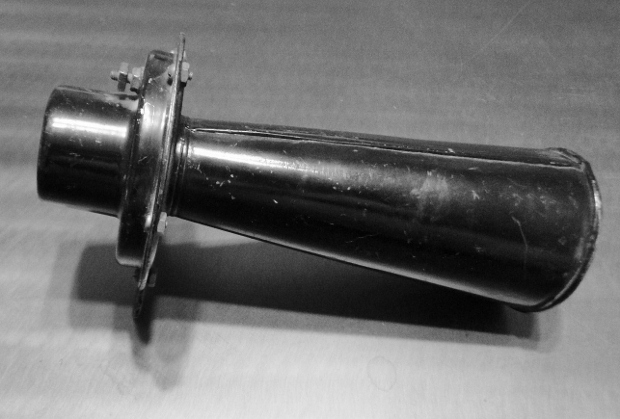 Model T Ford Forum: Forum 2014: ID this horn? I have my suspicions about this horn, but I'd like somebody who knows for sure to tell me all about it. It's all steel, no brass bell. 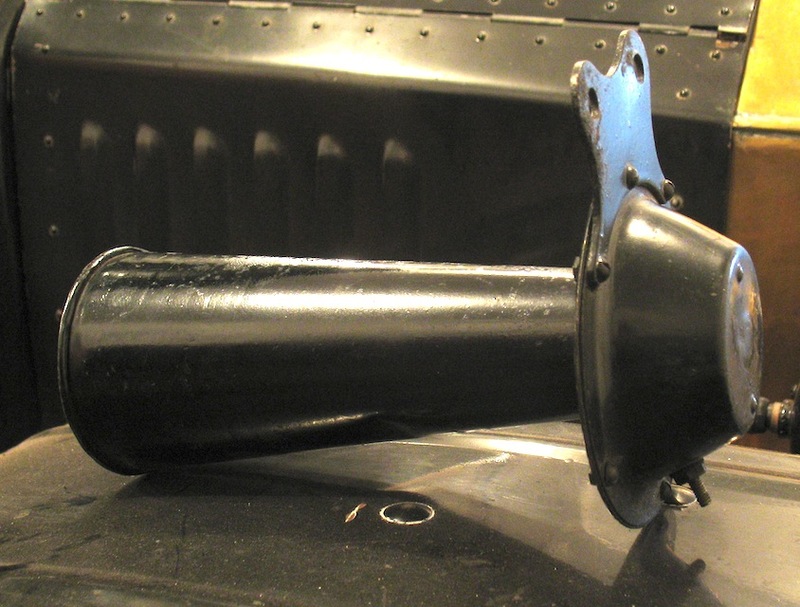 Large cover magneto horn, single terminal, dash mount. Would be correct to about 1920. Double terminal versions too, Ford used many suppliers of these horns. 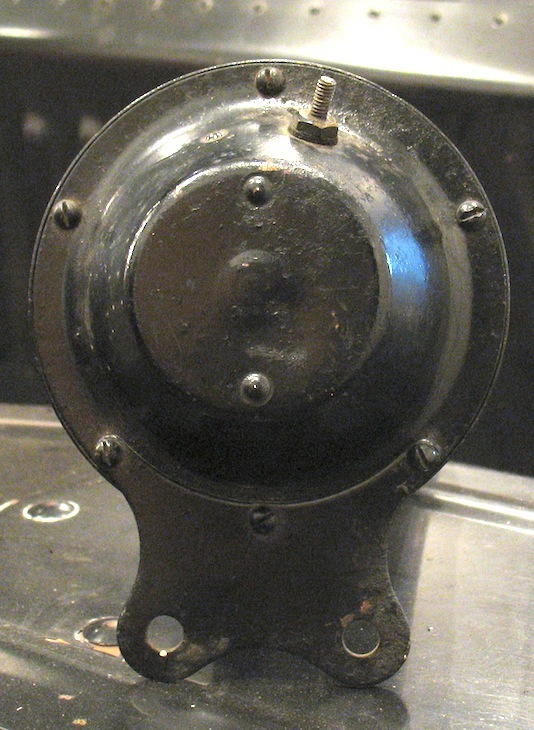 The most found later style are the small cup cover. The magneto had 2 connections when the horn button on the column had one wire to it (typically 15/16 and perhaps for a time in 17) and the horn button "grounded" that one wire to honk the horn. Beginning with the "combo" horn and light switch the horn button did not ground anything but rather it completed the circuit between the magneto wire and the horn wire. Those horns had then only one connection like the first horn pictured and that got a wire while the other connection was the ground metal part of the horn. 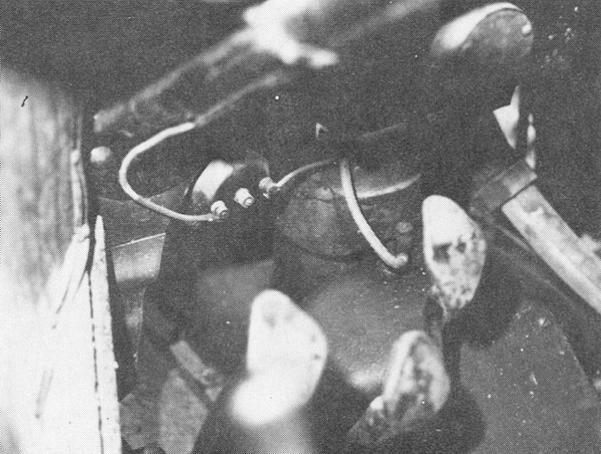 For a time after the introduction of the combo device Ford used up any 2 terminal magneto horns by adding a ground to one of the 2 horn connections. They did this by removing the outer fiber washer on one of the connections to thus short that connection to the horn case. It was a typical Ford "CHEAP" solution ha ha. 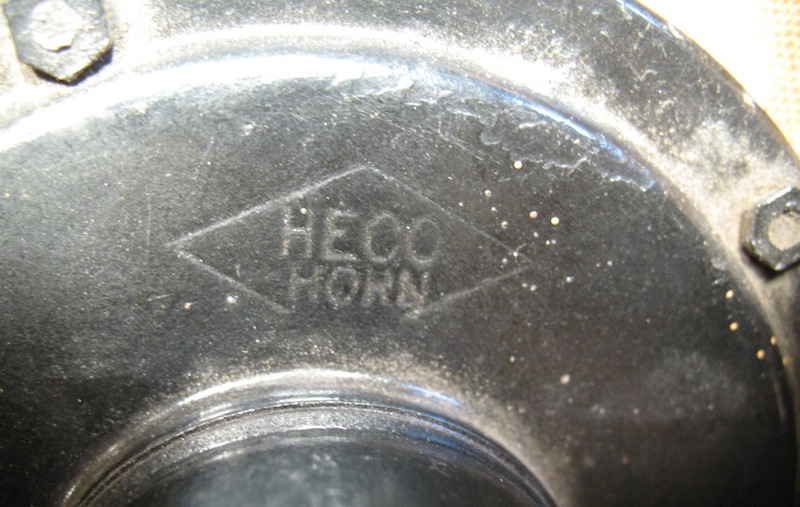 HECo stands for Heinze Electric Co. I thought the horns with the angled back were battery horns and those with the top hat shape were magneto horns. Best way to tell is to look down into the snout. 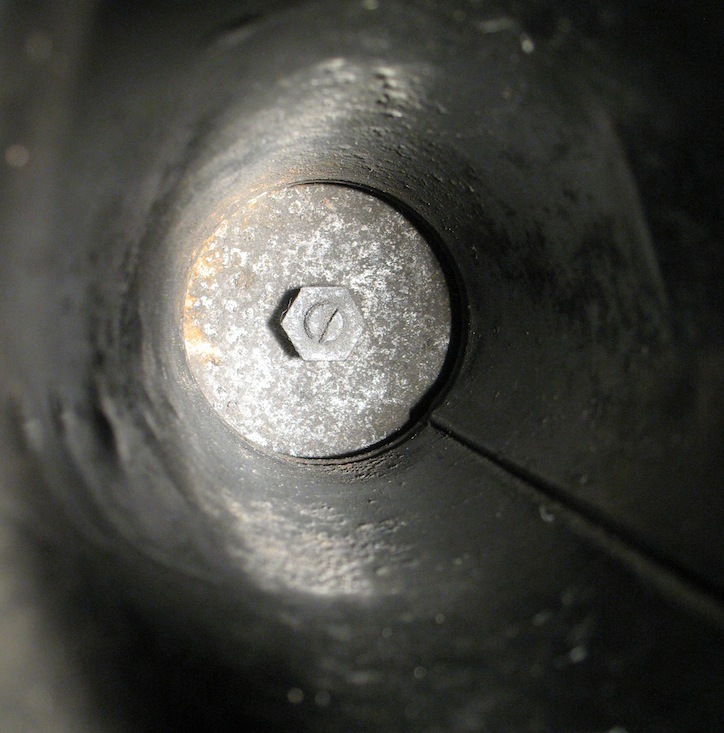 If you see a locknut and screwdriver slot adjuster then you are looking into a magneto horn. 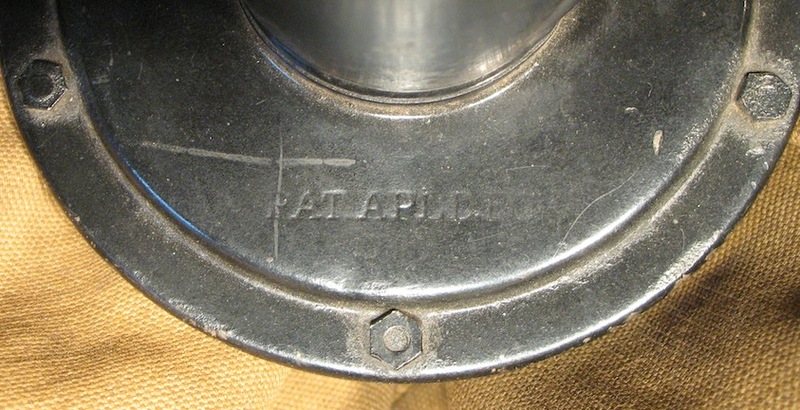 As far as I know the wire connection on a battery horn was never on the horn motor cover portion but was mounted facing forward on the front side of the face flange that the bel (snout) welds into. I have never seen a Ford battery horn that was not that way.